It's not easy being green, especially if you're trying to survive a brutal Canadian winter. The fluctuating temperatures from being shorts and teeshirt weather one day to 6 cm of snow the next doesn't make it easy to prepare for what's coming next. 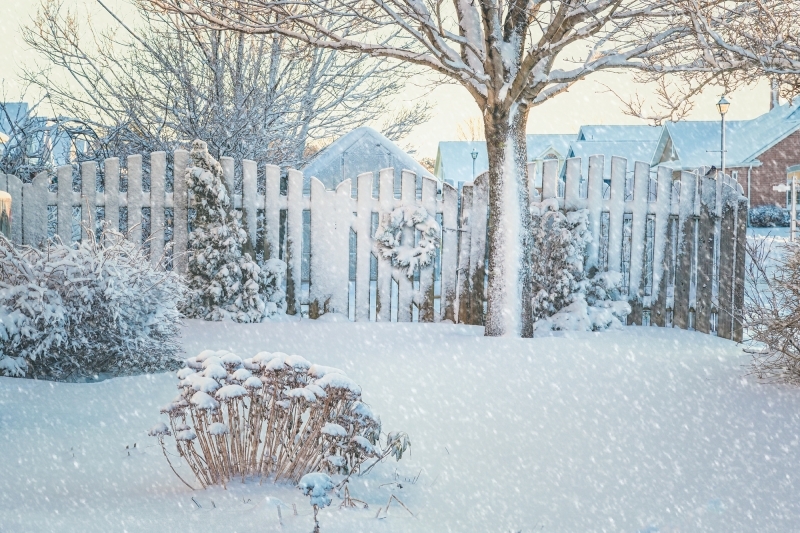 We've got some winter landscape tips to help make sure your greenery doesn't give you the winter blues. Keep reading to learn how you can keep your yards, shrubs, trees, and gardens safer and looking good even when mother nature throws all she's got at them. You can save yourself a lot of hassle and money in the spring if you prepare for winter before it hits. Before meteorologists start giving frost warnings you'll want to give your outdoor space some TLC in the fall to prepare it for winter. There are some things you can do to ensure your trees make it through the winter and are healthier in the spring. Evergreens and other coniferous trees not only add colour to your landscaping in winter but provide shelter for winter birds. You can make your life easier and your garden healthier in the spring by preparing it properly for winter. Take any potted plants that are not made to survive winter inside before the first frost. Many people have added a water feature such as a fountain or pond to their backyard oasis. If there are fish in the pond be sure to take proper measures to make sure they are healthy and safe during the winter. Some fish may not be able to withstand the cold and snow of a Canadian winter while others will practically sleep right through it. Ensure your walkways are even and clear obstacle that someone could hurt themselves by tripping over after it starts to snow. cut grass to approx. 6 cm, clippings will recycle 25% of nitrogen back into the lawns soil. Taking these steps will keep your gardens, trees and lawns healthier and easier to tend in the spring. There are some shrubs, trees, and plants that can survive and add some colour and beauty to your yard even in a Canadian winter. Choosing the right greenery is 3/4 of the battle when wanting your landscaping to be healthy and aesthetically pleasing all year long. These choices along with others will add durability, colour, and berries to attract birds. Most require very little care or attention throughout the winter and may only need the occasional pruning in the spring. 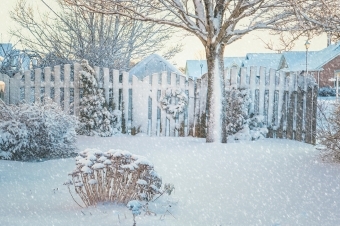 If after reading our winter landscape tips you decide you want a beautiful lawn but don't have the time, energy, or know-how to do it yourself call in the professionals. You sit back and keep warm while we do all the work.